Through Faith and Strength, Acknowledge the Past, Embrace the Present, Create the Future, this was the theme of Joint Conference 2015. The conference, which took place in Charleston, S.C. from July 26-30, was a gathering of the National Black Sisters’ Conference (NBSC); National Black Catholic Clergy Caucus (NBCCC); National Association of Black Catholic Deacons (NAB CD); and the National Black Catholic Seminarians Association (NBCSA). Attendees at each table were tasked with sharing examples in their own families, past and present, of the above qualities. We were then asked to strategize on how to best nurture those qualities in our home towns. A future conference will discuss the results of those strategies and measure the success of their implementation. 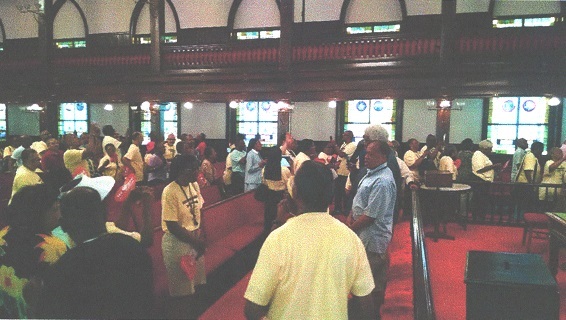 Conference attendees also had the great privilege of praying inside Mother Emmanuel African Methodist Episcopal (AME) Church, where nine of our sisters and brothers in Christ were murdered during a Bible Study class on June 17, 2015. They were: The Honorable Rev. Clementa Pinckney, 41 (Lead Pastor), Depayne Middleton Doctor, 49, Ethel Lance, 70, Susie Jackson, 87, Cynthia Hurd, 54, Tywanza Sanders, 26, Rev. Sharonda Coleman-Singleton, 49, Myra Thompson, 59, Rev. Daniel Simmons Sr., 74. Because our sisters and brothers at Mother Emmanuel had been fed by the Word of God, the church members left to mourn the dead were able to forgive their killer, to feed him the forgiveness with which the Giver of Life feeds us all. 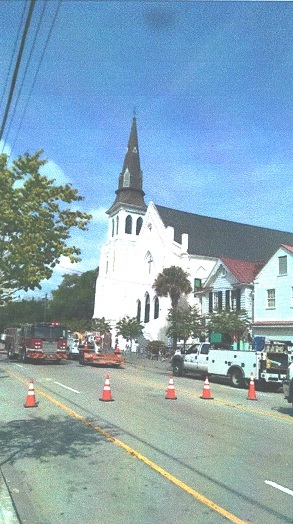 Hopefully, by God’s grace we will never have to personally experience a tragedy of the scale of our sisters and brothers in Charleston, but there is a lesson to be learned here! The 2016 Joint Conference will be held in San Diego, CA… stay tuned!